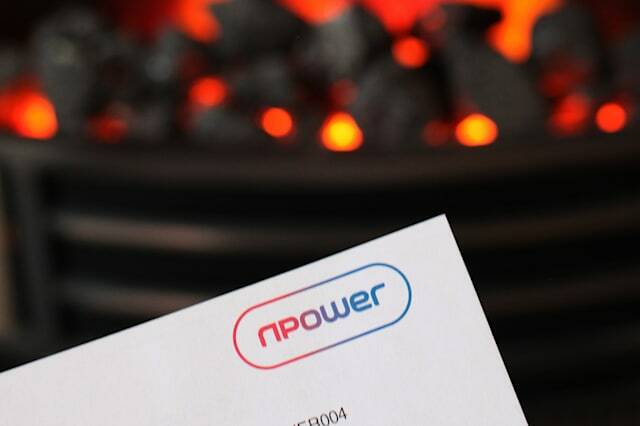 Big Six energy provider npower said it had lost 300,000 customer accounts over the last year as a result of ongoing problems with its billing system as it reported profits down by two-thirds in a "very tough" first half. The firm, which has 5.1 million gas and electricity accounts, lost customers after a revamp of the system 18 months ago led to errors that saw some households receive multiple bills while others received none. It also said households had used less energy in the period compared to a year ago. The company, owned by Germany's RWE, said retail energy supply profits tumbled 65% compared to the same period in 2014 to £38 million, due to steep falls in its domestic market. This dragged down the wider RWE npower group in the UK, which saw profits fall 31% to £24 million as npower's slump offset improvements at its loss-making power generation business. The group's chief executive Paul Massara said: "The first half of 2015 has been very tough for RWE npower's domestic business, even though this has been balanced by the continued improving performance of our other businesses." Mr Massara has previously written to all customers apologising for the problems and pledging that no-one would be left out of pocket as a result of billing failures. But last month watchdog Ofgem ordered npower to give free energy to customers whose previous energy ombudsman rulings in their favour had been left outstanding for more than 28 days until the firm had fully resolved outstanding issues. Mr Massara said: "The main part of our drop in profits has been due to the continued impact of the systems issues that hit our domestic business last year. "The challenges that we have faced were tougher than we expected but we know what the problems are and are taking the right steps to fix them." The group said the operating loss at its generating division improved to £14 million from £74 million a year ago, due to greater efficiency and stronger demand from conventional power as opposed to renewable generation. Mr Massara also voiced opposition to proposals on capped customer tariffs raised by the Competition and Markets Authority (CMA) last month after it found British households were overpaying for their energy by about £1.2 billion because they were failing to switch to get the best deals. It could mean prices cut or frozen for about 70% of customers with the Big Six providers, which also include British Gas, SSE, EDF Energy, E.ON and Scottish Power. The CMA said it will look at temporarily scrapping ''relatively high priced'' variable rate deals and replacing them with capped ''safeguard'' tariffs until competition is working as it should be in the market. Mr Massara said: "We do not support the idea of a transitional safeguard tariff as we believe that it will harm customer engagement and reduce competition, in short regulating 70% of the market would be a retrograde step for one of the most liberalised markets in Europe."